Uses: Church, Religious Colors: Gray/White Lengths: 7 panel 13'-1" Heights: 7'-4"
The Village Church has five locations throughout Texas with each campus having their own distinct flavor and needs. Located in an outdoor mall, The Southlake campus has transformed a retail space into a holy worship center. 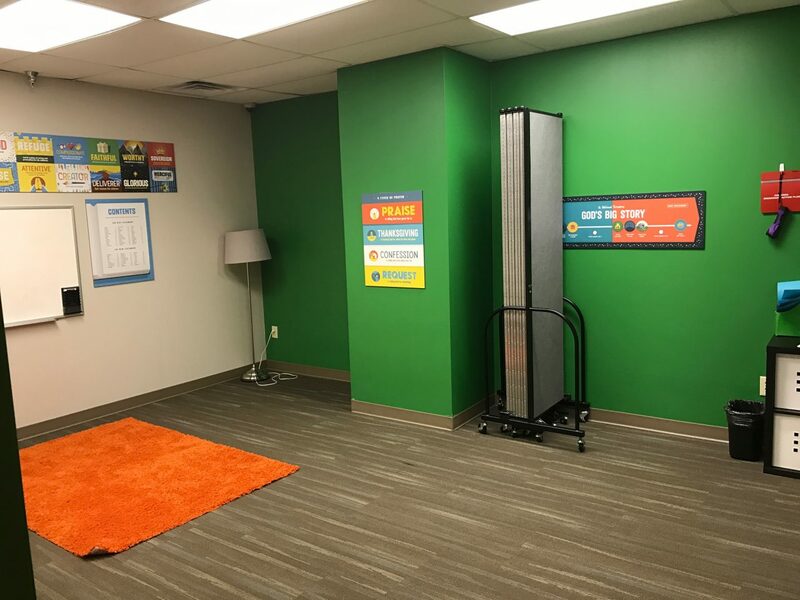 Administrators and staff have done a wonderful job transforming an open store concept into a large auditorium surrounded by church classrooms for young students and adults. To best maximize their space the staff began their search for an efficient way to divide the classrooms into two rooms to host more groups of students. 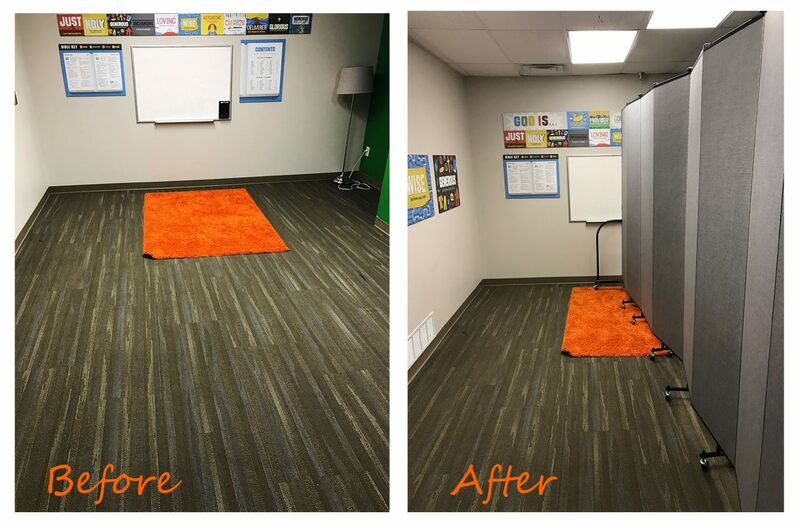 Through their search, Screenflex church room dividers stood out above the rest because of their versatility, sound absorption, and compact storage. 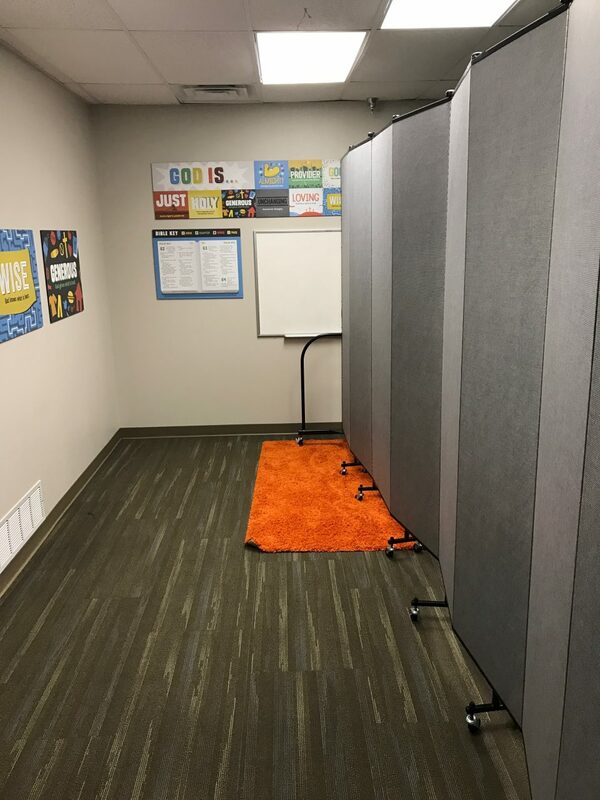 Each Screenflex divider stores in a 2’x3′ space as seen in the picture to the lower right.